These days so many people are trying facial oils to improve overall health and appearance of their facial skin. But many facial oils that are on the market, that are meant to improve the facial skin complexion, may actually make problems worse by clogging pores and causing acne to build up. Moreover, such face oils and facial products may not be as natural as stated on their labels. These products could very well contain few harmful chemicals and ingredients despite of their manufacturers calling them as green. There are not many completely natural facial skin treatments and remedies around. Additionally, there are even fewer Ayurvedic products and face oils that have been known to genuinely help improve facial complexion and the health of the skin. Recently when searching for facial oil alternatives, I came across an Ayurvedic Kumkumadi Oil, which I found to be very effective in treating facial skin. You may not particularly get excited to hear about yet another natural face remedy like the Kumkumadi oil, that too after trying multiple natural face products for years. But, you will find Kumkumadi oil as a pure ayurvedic formulation of natural ingredients, that are meant to improve your facial skin and is completely free of chemicals and other toxins. Kumkumadi is a potent blend of Saffron and 16 all-natural essential herbs that help restore vibrancy and natural glow to your facial skin. It also hydrates dry skin, fights acne and blemishes, and improves overall texture of your face skin. This is why, Kumkumadi oil has gained a lot of popularity amongst people who love herbal, ayurvedic and natural skincare products. Continue reading this Kumkumadi oil review to learn more about its ayurvedic formulation, key ingredients, how-to-use instructions, benefits, side effects and alternatives. What Is The Kumkumadi Oil And How Does It Help? Kumkumadi oil, also called as Kumkumadi Tailam, is a rich orange tinted, non-sticky, and beauty oil that gets absorbed into damp skin quickly and is meant to rejuvenate and tone the facial skin. In fact, it is referred to as the beauty elixir because it contains Ayurvedic medicinal herbs that have been known to treat many ailments and conditions throughout history. The ingredients of the Kumkumadi oil have been used by Ayurvedic practitioners over thousands of years to treat many people for skin conditions among other issues. There is nothing in this product that is not natural, and there are no chemicals and toxins in Kumkumadi. With this oil, you can save all that effort of preparing an effective concoction by meticulously mixing up various herbs and essential oils. The Kumkumadi oil has gained a lot of popularity in recent years. The reason that there are many positive Kumkumadi oil positive reviews from happy customers is that they found a natural beauty and face oil that provides them the benefits that they have been looking for so long, i.e. to improve the health and appearance of their skin that other ‘natural’ products that they have tried over the years failed to do. The Kumkumadi oil offers multiple benefits. However, before that is delved into, let’s take a look at the ingredients that are in the Kumkumadi oil. A bottle of Kumkumadi oil comes with 16 powerful Ayurvedic ingredients which will make your daily skincare regime an easy and relaxing experience. In Ayurveda, pure Saffron illuminates the complexion, an antiseptic Licorice Glycyrrihza glabra protects your skin against bacterial infections, extracts of Banyan tree and Madder with anti-aging properties helps smoothen out wrinkles and repair early signs of aging, and Vetiver Grass and Lotus offers a cooling effect while clearing blemishes and also helps improve skin texture. This makes Kumkumadi Tailam an essential day or night beauty treatment for your skin and restoring it's health and glow. We are going to go over the most potent ingredients that make the Kumkumadi oil so unique and so beneficial for improving the facial skin complexion and health. The most potent ingredient that is in the formulation of the Kumkumadi oil is saffron. Saffron is an orange-yellow spice that you will find in Indian and Mediterranean dishes, and it is a very expensive spice. That is because of cultivating each thread from the Crocus sativus flower where it comes from. The taste of the spice is very strong, but it also has so many health benefits. According to WebMD, saffron has been known to help aid digestion, insomnia, inflammation, and is an excellent skin lightener and has been used to improve skin complexion. This is why saffron is the first herb that is used as part of the formulation of the Kumkumadi oil. And, saffron gives off a sensual aroma which makes the oil even more appealing, and has calming properties. 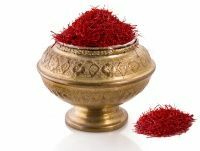 Ayurvedic practitioners over the years have used saffron to help treat many of the ailments which were noted above, which again, includes improving the health of the skin. It helps improve the elasticity and strengthens the skin as well. Saffron is full of antioxidants which helps repair tissue and cell damage. Another excellent medicinal herb that is in the formulation of the Kumkumadi oil is Indian madder. 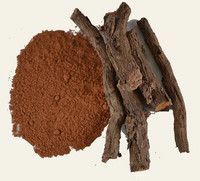 Indian madder is a very important medicinal herb that is part of the formulation of the Kumkumadi oil which has been used among Ayurvedic practitioners to treat many conditions. 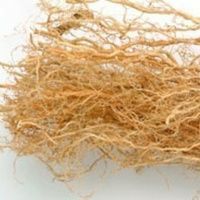 According to WebMD, Indian madder has been known to treat various ailments such as sciatica, kidney stones, blood disorders, menstrual disorders, and inflammation. Additionally, Indian madder is an anti-inflammatory herb and has been known to also help heal the skin's wounds and to improve facial skin complexion. This is why this herb is part of the formulation of this product, along with black sesame seed oil. 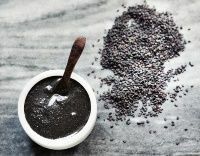 There are so many benefits that come with black sesame oil. Not only does it contain nutrients and minerals such as iron, zinc, and different fatty acids to help treat many ailments. But it is a perfect addition to the formulation of the Kumkumadi oil. According to WebMD, sesame oil has been known to improve respiratory health, blood sugar levels, aid digestion, relieve stress, and is excellent to reverse aging of the skin. That is right. Sesame oil has been known to improve the health of the skin, and improve the elasticity, and is a great moisturizer. And it supports the benefits of the other ingredients such as licorice as well. Licorice root is an important Ayurvedic ingredient in the composition of the Kumkumadi oil because it also has so many healing benefits. According to Healthline, licorice has been known to aid digestion, reduce inflammation, help heal wounds, and help improve the condition of the skin. 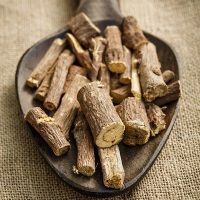 That said, because of its skin-healing and complexion improving properties, licorice root is a perfect component of the Kumkumadi oil formulation. 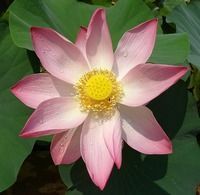 It also supports the benefits of other ingredients such as the Indian lotus. Indian lotus has plenty of healing properties, and Ayurvedic practitioners over thousands of years have used this herb to treat many conditions. According to Healthline, Indian lotus can prevent acne, inflammation, cancer, aid digestion, and is excellent for your respiratory tract. Indian lotus has antiseptic properties that can prevent bacteria, fungi, and viruses to settle into your skin's pores, and this is why it is an excellent herb to prevent any outbreaks from happening. This herb also has anti-inflammatory properties which is excellent to help smooth out your skin's texture. Also, Indian lotus works well with Vetiver grass. Vetiver grass has been known to have many health benefits. And, according to WebMD, this herb has anti-inflammatory and antiseptic properties, and it is known to help relieve stress and anxiety due to its aromatic effects. Additionally, it helps treat insomnia and is an excellent skin toner. In fact, vetiver grass helps lighten dark spots on the skin and helps improve its complexion overall. And, it works very well with Wild Himalayan Cherry which is also an Ayurvedic herb that is part of the formulation of the Kumkumadi oil. 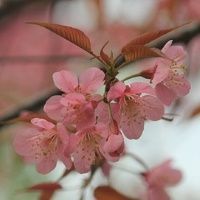 Wild Himalayan cherry, also called as Prunus Cerasoides, is a medicinal herb that has been used throughout Ayurveda history to treat conditions such as digestive disorders, cramps and pain, and diabetes. According to Herbpathy, wild Himalayan cherry has anti-inflammatory properties, and cooling properties, and is full of antioxidants. That said, wild Himalayan cherry has been an excellent addition to the formulation of Kumkumadi Oil because of its cooling and anti-inflammatory benefits. That means that after the oil has been rubbed into the facial skin pores, you will get a calming and cooling effect which is from this herb. It also works well with the benefits with Holy Banyan, which is also part of the formulation of this face oil. Holy Banyan is an Ayurvedic herb that many Indian practitioners have used to treat many conditions. According to Only My Health, Holy Banyan has been known to aid digestion, fertility, pain, dental health, piles, and many skin conditions. In fact, Holy Banyan is a skin lightener and has been used to treat and remove moles. That said, this herb has been known to improve skin health, and is definitely helpful when it comes to improving the color of the facial skin and its texture. The Kumkumadi oil is also composed of over 10 other Ayurvedic herbs that help promote skin health and reduce pain and stress. This skin oil also contains goat milk. Goat milk is a very important ingredient in the formulation of Kumkumadi oil. According to Goat Milk Stuff, this component of the face oil is important because it contains properties such as lactic acid that will not only help remove dead skin cells, but it is high in Vitamin A. That said, Vitamin A is excellent for repairing damaged tissues and skin. It also treats various skin conditions such as acne, rosacea, eczema, and psoriasis. So you have the Kumkumadi oil that is an elite face oil that works wonders for improving your facial skin health. Now you are wondering what all of the benefits are from using the Kumkumadi oil. This is the part you have been waiting to read for all of this time. Let’s find out how the Kumkumadi oil can help you! ● Kumkumadi oil makes skin smooth and radiant - based on the potent ingredients such as saffron and Indian madder, these Ayurvedic ingredients are so potent that you will no longer deal with dry, dull, and flaky skin. ● It is an excellent acne and blemish fighter - If you have been suffering from acne and blemishes and you are tired of it, then you will love this face oil because it contains so many properties that will fight off acne and blemishes. That is because it has antiseptic properties which kills off bacteria, viruses, and fungi. Additionally, it prevents infections from happening as well. ● It helps improve facial texture and brings out a luminous complexion - If you are tired of dealing with craters and scarred pores due to acne and other skin conditions from the past, you can now enjoy a smooth and improved facial texture and complexion. Thanks to the healing properties that come from the Ayurvedic herbs and the goat milk, you will finally have the lovely facial skin that you have always wished you had. ● It can smooth out and heal wounds and scars - Another great thing about the Kumkumadi oil is that it will smooth out scars from acne and other conditions and help them be a lot less visible. ● You can use it as a toner - Many people are frustrated about the fact that they are unable to find a toner for their faces that is not completely natural. They are understandably not comfortable with adding chemicals to their skin. With the completely natural Kumkumadi oil, they can finally use a toner for their face without the weird chemicals. ● It is an excellent moisturizer - All of the Ayurvedic herbs mixed together along with the goat milk, you will no longer have to deal with itchy and dry skin. You will finally have a perfect natural moisturizer that will not leave your skin feeling greasy and uncomfortable. ● It is a self-esteem booster - Kumkumadi Oil does not need much elaborating. But think about it. If you have been wanting to hide from everyone due to being self-conscious for having a poor complexion and unhealthy facial skin, you no longer will have the need to do that. Thanks to this face oil, you will go out with confidence and with pride because your facial beauty has been restored! Now that you know the benefits of iYURA Kumkumadi oil, you are likely wondering how to use it. The Kumkumadi oil is a unique blend of Ayurvedic herbs and natural oils formulated to make your skin look healthier. With this oil, you can save all that effort of preparing an effective concoction by meticulously mixing up various herbs and essential oils. Applying the Kumkumadi oil is very easy to do. All you need to do out 2 to 3 drops of the oil onto the palm of your hands and rub it into your facial skin by using a circular and upward motion so the oil is settled into your skin. Perform moon shaped movements below both the eyes. Once done, you can wash off the oil with warm water and mild soap. If you are applying a thin layer of Kumkumadi oil with 1-2 drops, then you can leave it on face without washing. It will act as a natural moisturizer. If you want to use a Kansa wand, you can use 2 to 4 drops of the oil, and you can use more drops if you want to add extra moisture to your skin. Be sure to use it in the evening so you can wake up with glowing and radiating skin. Additionally, the herbs have properties that help calm, and soothe you, and can help you sleep as well. Now you are probably even more excited about the prospect of getting the Kumkumadi oil due to its benefits. However, before you make that bold move, there are things you must take into consideration before purchasing this product. ● Pregnancy and breastfeeding - If you are pregnant, planning to get pregnant, or breastfeeding, do not use this product. This product contains herbs that can be dangerous if it is passed to your baby whether in utero or through breastmilk. ● Have allergies - If you are allergic to any of the ingredients that are in this product, then you must not use it. If you are unsure whether or not you are allergic to anything that is in the formulation of the Kumkumadi oil, you can have a patch test done or go to an allergist. ● On medication - There is a good chance that if you are on medication that you will be fine to use this product. However, you need to talk to your doctor before purchasing this product in order to find out if the ingredients in the Kumkumadi oil will cause an adverse interaction with the drugs you are taking. ● Vegan - Kumkumadi Oil is completely natural and free of chemicals, and it is cruelty-free. However, there is goat milk in this product which means it is not vegan. There are also things to keep in mind if you buy Kumkumadi Oil. The Kumkumadi oil is not meant to treat, prevent, or cure any ailment. 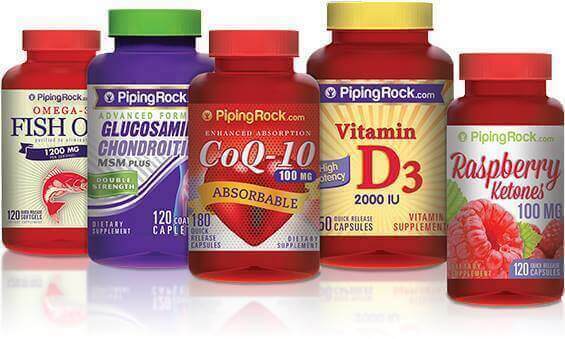 Additionally, it is not meant to replace any type of medication that you are on. If you develop hives or rashes, stop using this product right away. If you discover that you are pregnant, then you must discontinue using this product. Also, keep the Kumkumadi oil away from the reach of small children and pets. And, last but not least, be sure to use this product within 24 months of its manufacturing date. Otherwise it will expire and not be useful. If you are wondering if there are alternatives to the Kumkumadi oil, there are and you will learn about 3 of them right now. Kumkumadi Cream by NAGARJUNA - This face oil is also composed of Ayurvedic herbs and is all natural. However, it has been said to leave an oily greasy feeling on your face behind which the Kumkumadi oil does not! That in itself is a great benefit of the Kumkumadi oil. Alteya USDA Organic Bulgarian Rose Water - The main ingredient in this product is Bulgarian rose water which is also meant to be excellent for toning and rejuvenating the skin. However, the issue with this product is that many of the ingredients are not listed and is contained in a cheap material. The one thing you need to know about iYURA is that they are extremely transparent about what they add to their products, and the containers are made of good quality material. Kottakkal Arya Vaidya Sala Kunkumadi Tailam - This product is also composed of Ayurvedic herbs which include saffron. However, the formulation is less potent of this product than it is of the Kumkumadi oil. That does not mean this product won't work. It just means it will likely take longer for you to see the results you want than if you used the Kumkumadi oil. If you are ready to make the bold move and purchase Kumkumadi Oil, you will want to know where to buy the Kumkumadi oil. You will find that out now! 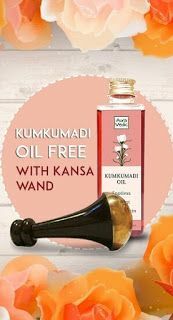 The Kansa Wand, when ordered from The Ayurveda Experience site comes with a free bottle of Kumkumadi oil, an Ayurvedic herbal oil used for face massage. iYURA Kumkumadi oil can be purchased from multiple sources. You can buy the product on Amazon, and you may get some deals and discounts from making this purchase. However, if you want to make the most of your purchase of the Kumkumadi oil, then you will want to buy it from The Ayurveda Experience. That is because you can accumulate rewards to use for future purchases, and if you purchase from the site, you will receive the Ayurveda Experience video course for free. Additionally, you will want to be on their mailing list and keep tabs on their newsletters so you are in the loop about sales, discounts, deals, and events. To sum up, if you are looking to find a natural face oil that can help prevent acne, brighten and smoothen your complexion, and improve the health of your skin - you will be pleased when you use the Kumkumadi oil by iYURA. The reason that the iYURA Kumkumadi Oil reviews are so positive is that it is not only natural but is made up of Ayurvedic herbs that have been proven to treat a variety of ailments. And, there are not many natural products around that are composed of Ayurvedic medicinal herbs that are extremely beneficial for helping to improve your facial skin health and complexion. You will not only love how much your skin improves, but you will love how it feels once it is applied to your face because of its cooling and comforting effects.